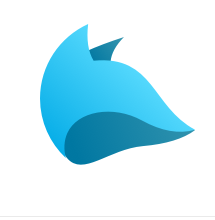 Unifox is airdropping 2% of their tokens to the first 25,000 participants. Complete the following steps to receive your tokens. Select "Back Office" and register your email at the site here. Click on the Airdrop tab. This will walk you through the following steps below. Join their Telegram group and invite 3 friends to their group. Follow them on Facebook, share this Post and tag 2 friends. Follow them on Twitter and retweet this Tweet and tag 2 friends. Subscribe to their Youtube channel and comment on any of their videos. Subscribe to their Reddit page and upvote a post. You will receive $50 worth shares of FOX tokens to your FOX wallet address which will be available in your profile. If you want to follow more info about this airdrop you can go to this thread.